Hiring the right professionals for the job? Get there by asking the right questions! Build an engaging and more productive workplace with interactive HR surveys. Find areas in the work environment where there’s room for improvement. Work on employee engagement, hiring the right candidate and increasing job satisfaction with short, interactive surveys and assessments. 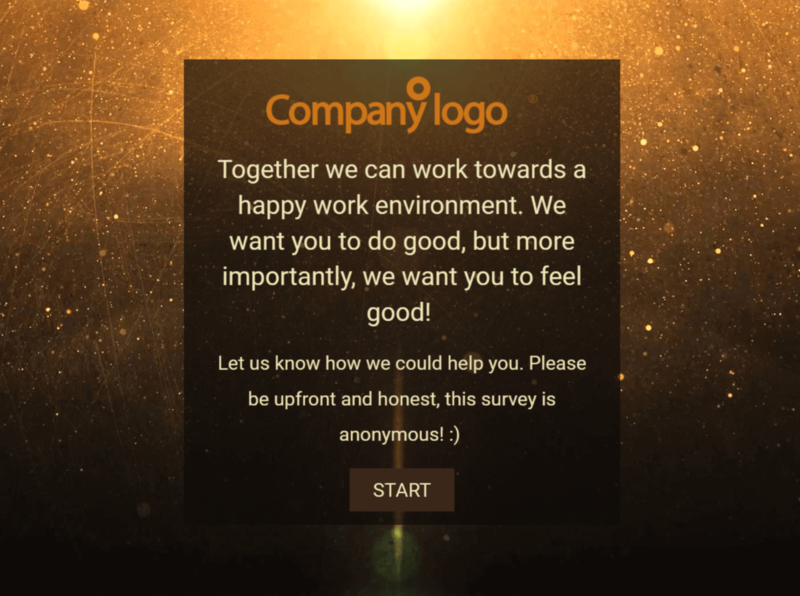 Satisfaction surveys: By regularly gauging the satisfaction in the job and on the work floor, you can make improvements towards a happier workplace and keeping employees engaged. Performance Reviews: Will give you clear insights on places where there’s room for growth. Create performance reviews on employee-level, but on team-level as well. Retain employees by giving them a safe platform where they can voice opinions and frustrations and where concerns and benefits can be addressed. Self-assessments can be a valuable tool: Create a series of self-assessments that your corporate learners can use to test their own skills as they progress through their online training. Evaluation surveys after workshops or a training can provide clear indications of whether or not the courses were effective. Make better decisions on where follow-up courses or additional materials should be made available.